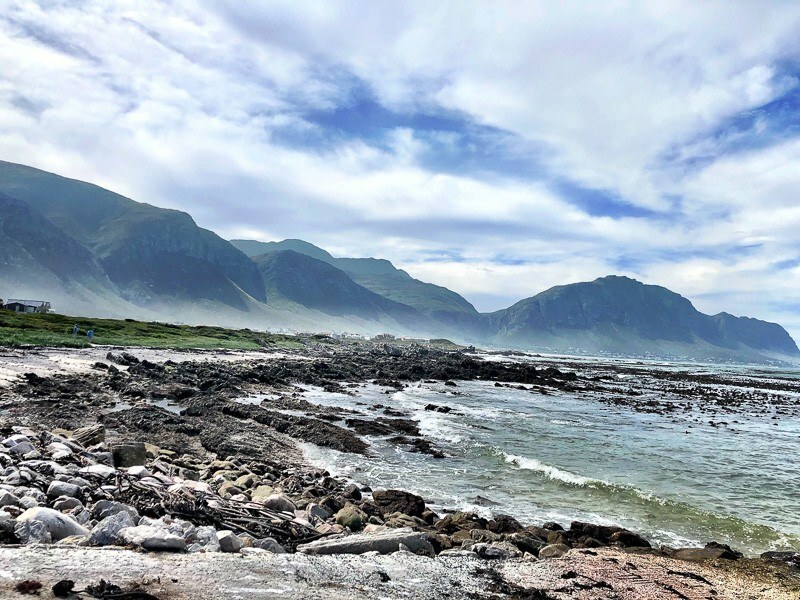 Hermanus is a lovely coastal area about a 90-minute drive from Cape Town. 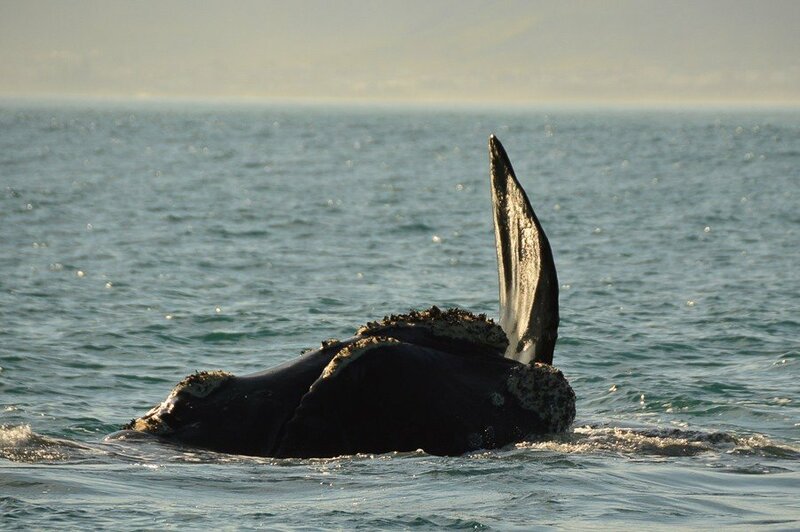 It is the home of the Southern Right Whales from June to December. The whales migrate from the Antartic around June for mating and breeding. The area has been recognised by the World Wildlife Fund as one of the 12 best places whale watching destinations in the world. The region is also ridiculously beautiful! 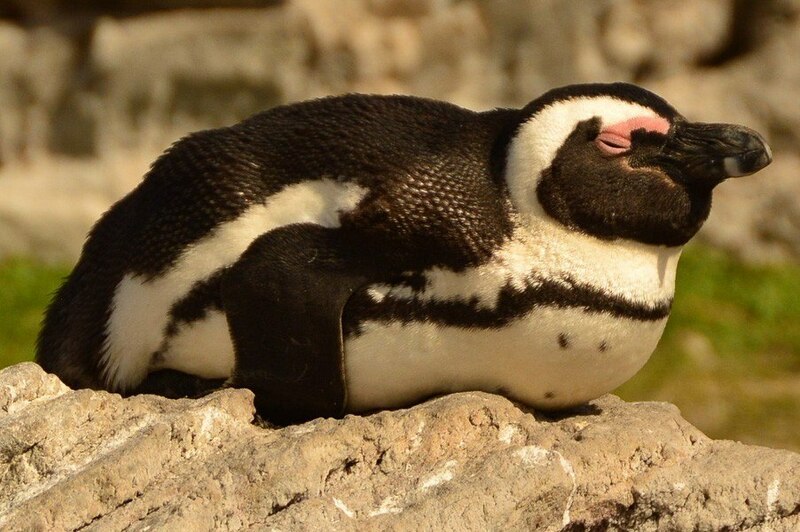 And there are more animals to see besides whales – African Penguins – and some jawdropping walks and drives. 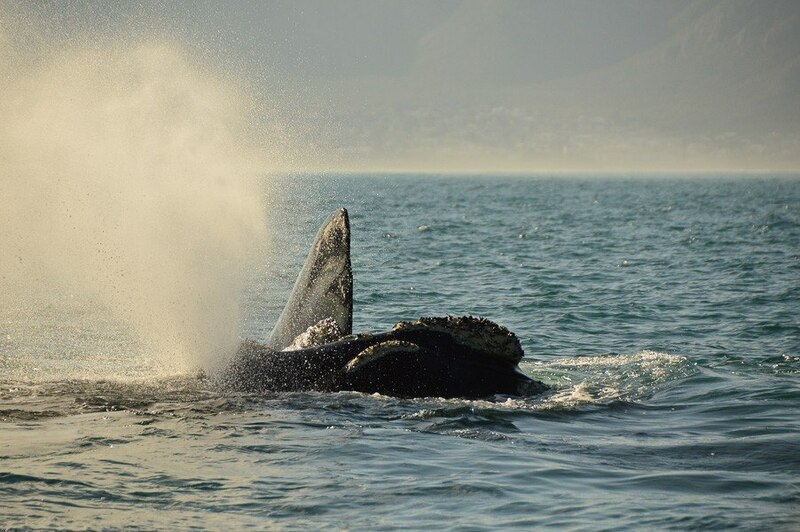 If you are visiting Western South Africa between June and December absolutely add Whale Watching Hermanus to your to do list! 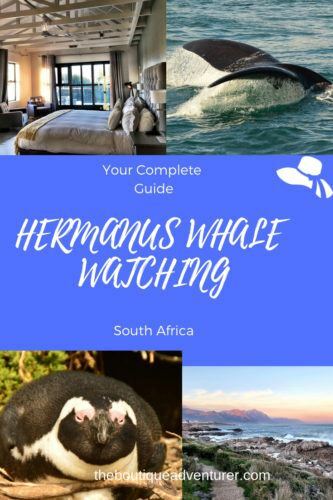 Whale Watching Hermanus – What Time is Best For Whale Watching? Whales don’t have a particular time of day where they show up – it is quite different from being on safari. The tours generally only operate during normal working hours and there won’t usually be any type of difference in taking say a morning tour vs an afternoon tour. The key factor instead tends to be the light if you are keen to take photos. Early morning and late afternoon light is generally always best for photography. The light in the middle of the day tends to be harsher and thus the photos are not quite as attractive. When is Whale Season Hermanus? The season is June through December. The Southern Right whales can arrive as early as April and stay as late as January but that is not something to count on. I personally visited late August and had some fantastic sightings. There are quite a few different options for Whale Watching Tours. The actual Whale Watching part normally lasts about 2 hours depending on sightings. Tours tend to leave 3 times a day from Hermanus and Gansbaai. If you are a passionate whale watcher I would stay in the area and book yourself on 2 or more tours during your stay. Like going on safari, every trip is different so you won’t be getting a repeat performance! The second option is being based in Cape Town and taking a full day tour to the area and back. If you have limited time in South Africa/Cape Town this is the best option. Having said that, Hermanus and the region are so beautiful that they definitely justify at least one night in the area. 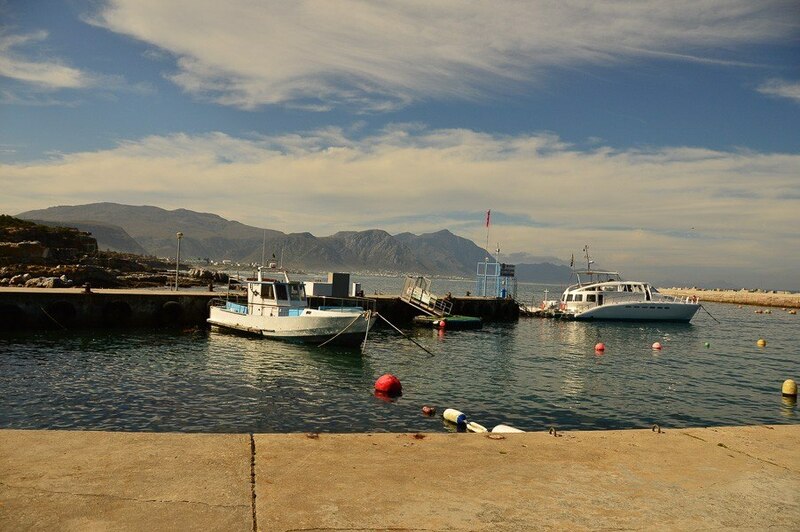 Hermanus New Harbour is the meeting point for these tours. There is quite a bit of parking available on the harbour which is great – and toilet options! I would recommend aiming to arrive at the New Harbour 45 minutes before the kick-off time for your trip. The reason for this is you will need to find a park and get sorted. Then tickets need to be collected and there are a full information and safety briefing prior to each trip. This Boat Based Whale Watching Tour takes place on a twin-hull catamaran. There are full commentary and guidance while on board. They even use a drone which helps find the whales faster. What you see will, of course, depend on which point in the season you are visiting but you are virtually guaranteed to see whales between June and December (see my point later down about actual guarantees). There are bathrooms on board and refreshments. Top Tip: Don’t worry if you’re not at the right place at the right time for photos – most of the boats offer a video/photos that can be purchased after the trip that are filled with shots from their expert photographers with mega gear! The next option is a Marine Big 5 Safari Tour. These tours meet at the Great White House and then head down to the harbour. This tour covers whale watching but also includes a trip to a shark cage diving vessel to view great white sharks and Dyer Island and Geyser Rock for dolphins and seals. Soup and bread is then provided after the trip. The Marine Big 5 Safari Tour is more expensive than the boat based whale watching tour as it covers more. There are two options in terms of cost. The first is the Marine Big 5 Safari Tour Self Drive where you get yourself to the Great White House. The second is the Marine Big 5 Safari Tour where you are picked up and dropped back at your accommodation. Gansbaai is about a 30-minute drive from Hermanus heading south-east. It is also possible to do a 2 hour Whale Watching Boat Based Tour from here which meets at Gansbaai harbour. It is also possible to do a great value Big 5 Sea Safari from Gansbaai. This tour goes to Walker Bay and it is most likely to see bottlenose dolphins and Bryde’s Whales. Gansbaai also offers Half Day White Shark Cage Diving Tours. Each cages takes up to 5 people at a time and 20 minutes is spent in the cage. All diving equipment etc is included. 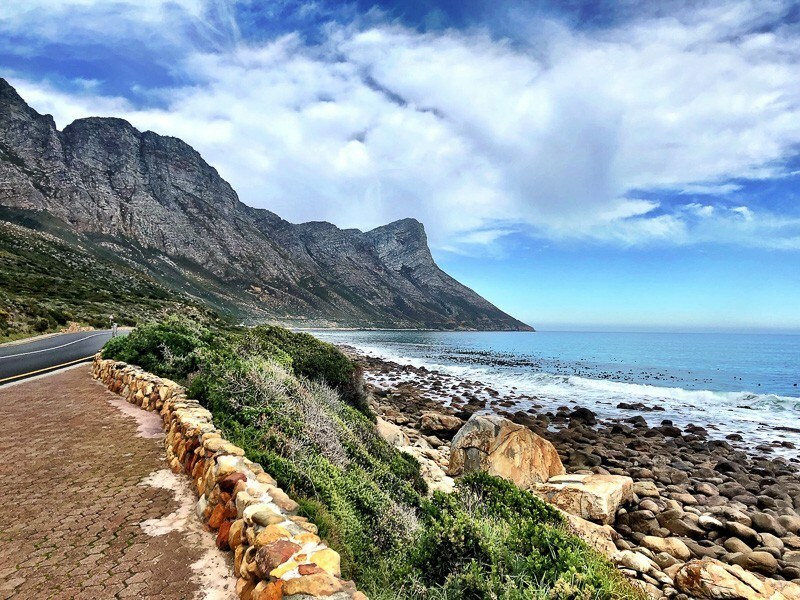 Which are better – Hermanus based tours or Gansbaai Based Tours? Basically, neither is better – it is more about what you want to see. 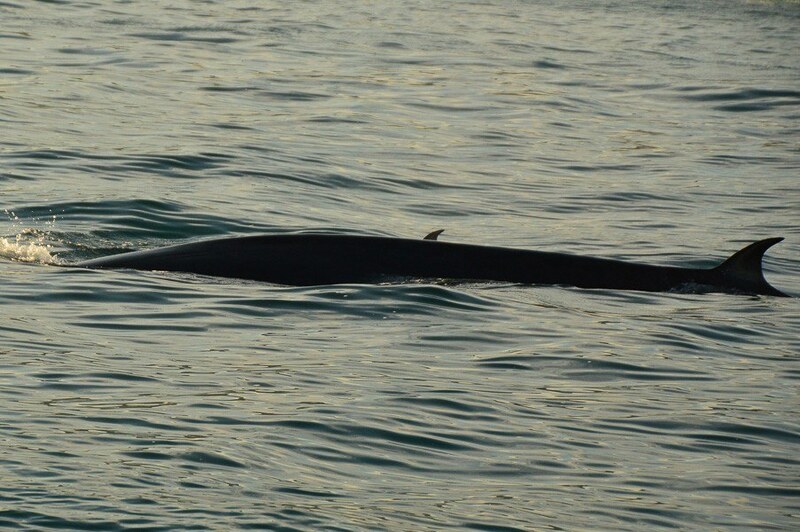 Hermanus based tours are more likely to see Southern Right Whales and Gansbaai more likely to see Bryde’s Whales. But hey these animals swim and it’s not that far between the two so you can easily see a mix! Only Gansbaai offers the shark cage diving. My recommendation is if you have time/money to try one tour from each. With tour times it is possible to do one in the morning and one in the afternoon and it is only a 30-minute drive in between. The Classic Whale Watching from Cape Town day trip will take you to Hermanus and out on a boat. 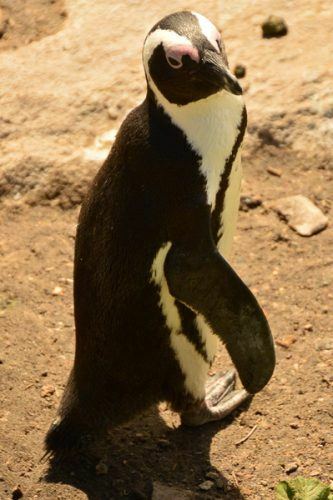 This trip also includes a wine tasting stop and time permitting a visit to the penguins of Stony Point. Or combine Whale Watching and Shark Watching on a full day trip from Cape Town that covers sharks in the morning (seeing them not diving in) and then whales in the afternoon. If a full day out on a boat is a bit much combine whale watching in the morning with wine tasting in the afternoon on a Whales and Wine Full Day Tour. This includes the 2-hour boat trip from Hermanus to see whales and then visits three wineries in the area before returning to Cape Town. If you are keen to go shark diving from Cape Town this Private Shark Diving Tour will get you there – but you will need to pay extra for the actual shark diving. 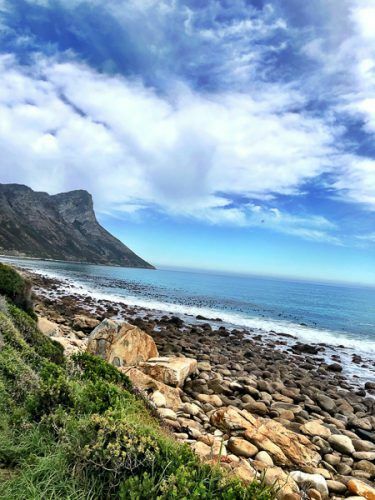 The tour then covers your choice of Stony Point, do theHermanus Cliff Top walk or go wine tasting in the afternoon. Am I guaranteed to see Whales on a Whale Watching Hermanus Tour? When dealing with nature no tour company will provide a guarantee. Having said that, if you are visiting during peak season it is very unlikely that you won’t see a whale. Most of the tour companies will offer some type of refund or allow you to come back on a later tour if there are no whales during peak season – but do check this ahead of time. Aim to get to where you need to be 45 minutes before the trip starts if you are organising your own transport. You will need to figure out parking etc and where the office is. Also, most tours will hold a briefing before the trip begins. Aim to be at the office checking in 30 minutes before the scheduled tour time. What if my tour gets cancelled due to bad weather? As weather forecasts are of course forecasts cancellations will only happen on the day. There will be a refund generally. The best way to deal with this is to make sure you book a tour for the first day of your time in the area. That way if the tour has to be cancelled you will be able to go the following day instead etc. Get a real sense of what Hermanus is like by watching my short video! Can kids go on a Whale Watching Hermanus Tour? There are no age restrictions but of course, adult supervision is expected. Kids under the age of 12 must wear a life jacket at all times during the tour. Can I watch the Hermanus Whales from land? Yes absolutely during peak season. The stunning cliff top walk is a great spot for whale watching. 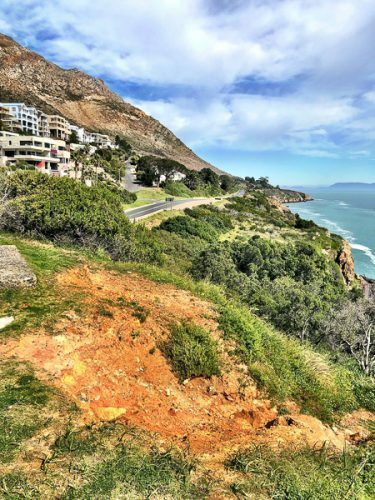 Gearings Point has great panoramic views, the Old Harbour has viewing terraces and if you have binoculars you may see whales at Dreunkrans, Windsor Bay, De Gang, Siever’s Point, Kwaaiwater as well as Voëlklip and Grotto beaches. 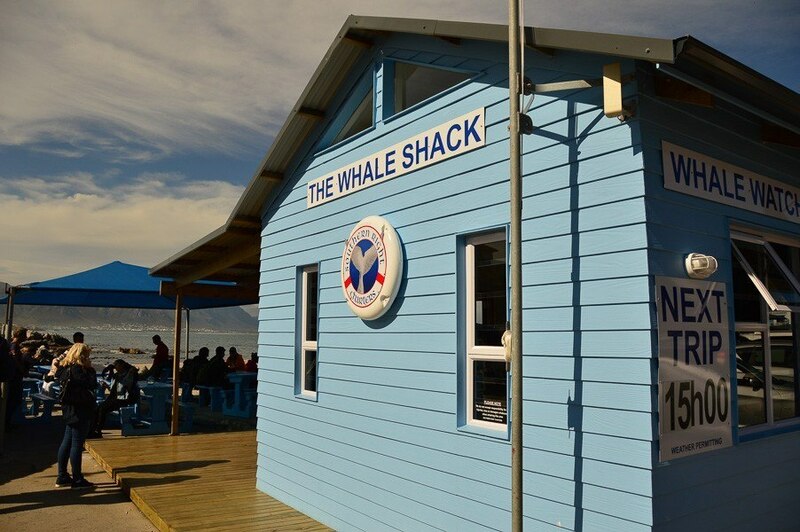 What does Whale Watching Hermanus Cost? The standard 2-hour whale watching trips are around USD60 – up to USD80 for big 5 trips. Shark Cage Diving is around USD$150. Day trips from Cape Town will vary around the USD$150 mark depending on the activities included. 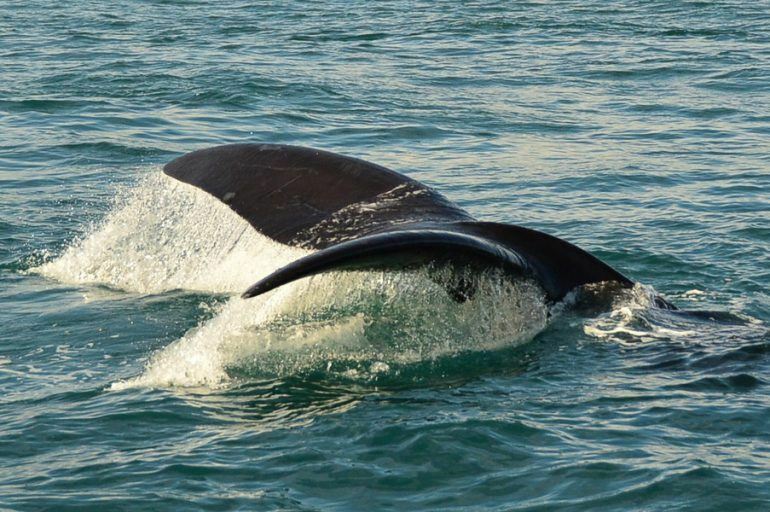 What are the types of Hermanus Whales? The most common type of whale in the area is the Southern Right Whale. However, you may well encounter other types of whales such as humpbacks, Bryde’s whales, seals, dolphins and lots of birds! 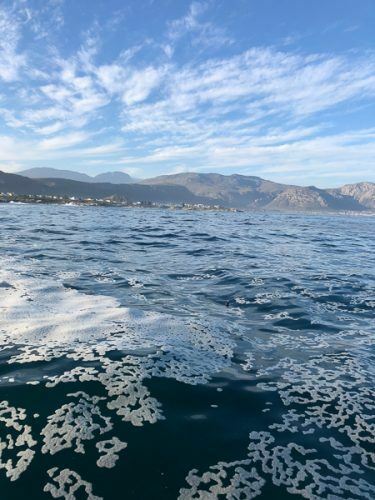 Is it possible to see Sharks in Hermanus? Sharks are rare in the Hermanus area. They are more common in Kleinbaai which is about 50km from Hermanus. It is possible to book tours there to go Shark Cage Diving. 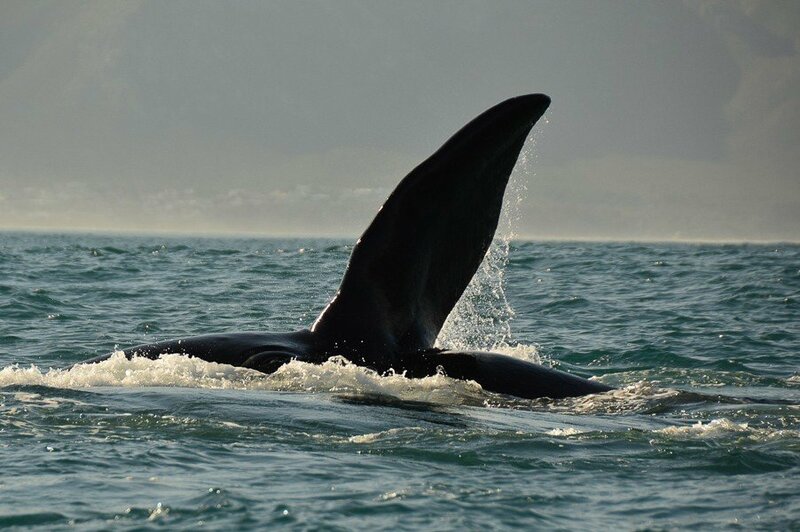 Is Whale Watching South Africa Hermanus safe? 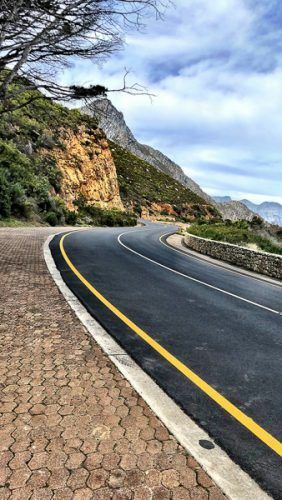 Hermanus is considered a safe tourist destination but there is still the usual level of petty theft etc. Do be careful after dark – don’t walk alone and don’t walk alone on the lovely cliff top path (more of that later). I did go for a run at sunset on the cliff top path and felt safe as there were quite a few people out patrolling the path. Usual levels of travel caution apply. 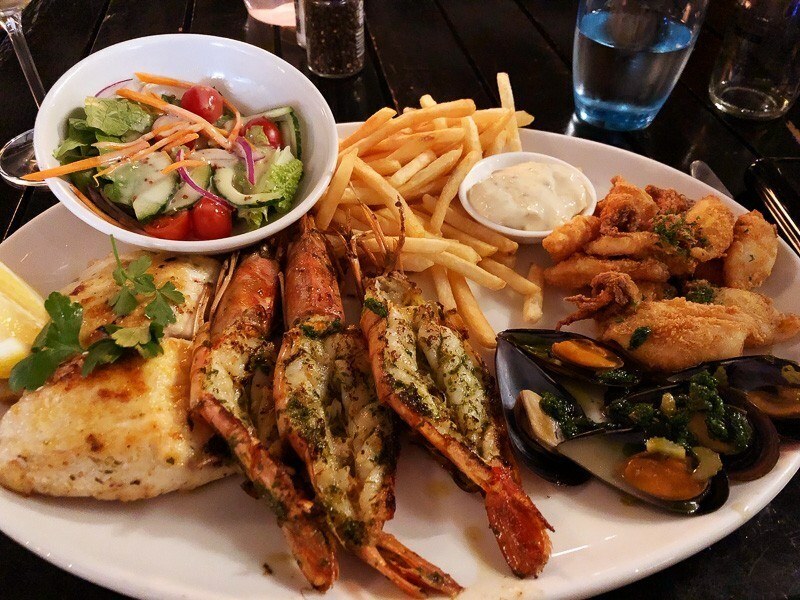 What else is there to do in Hermanus? Hermanus also has several wineries and offers a safari style Hop on Hop off Wine Hoppers Bus. 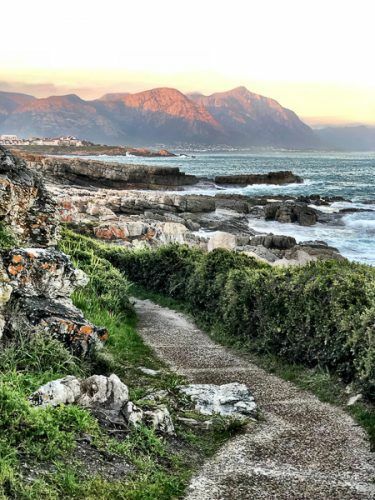 Don’t miss the stunning Hermanus Cliff Path Walk – particularly at sunset – amazing for photos. For some land-based animals check out the Panthera Big Cat Sanctuary. If you’re in the area on a Saturday check out the Hermanus Country Market. 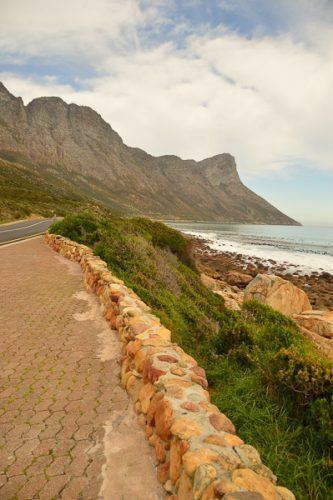 And make sure you allow enough time to really enjoy driving the coastal road and making stops – it is just so stunning! 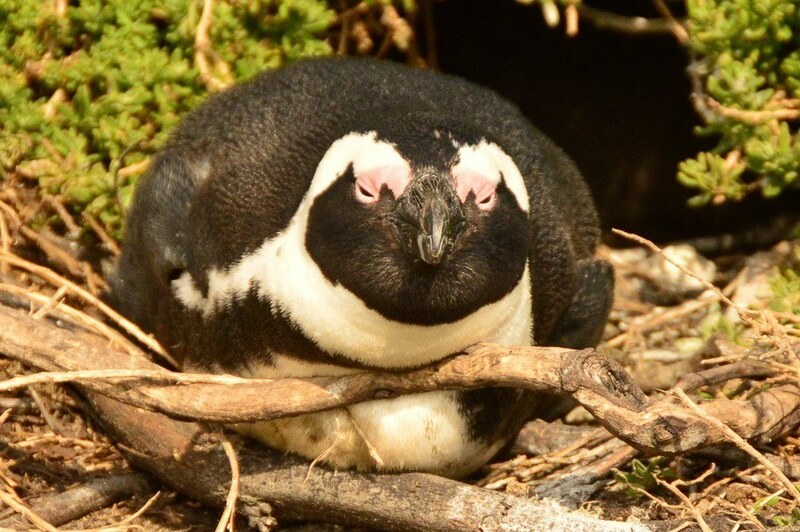 And finally, my top tip is to visit the lovely Stony Point Penguin Colony in Betty’s Bay. Betty’s Bay is about a 40 minute drive west from Hermanus. There are loads and loads of African Penguins – more than you can see! A boardwalk has been erected so you can walk amongst them so to speak. Penguins will be literally less than 1 meter away from you. It is also a stunning area – don’t miss it! 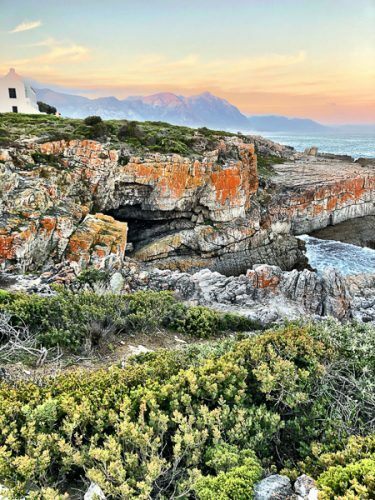 Hermanus is about a 90-minute drive from Cape Town. The closest airport to Hermanus is Cape Town – which covers both international and domestic flights. Hiring a car is the best way to get around the Cape. The roads are good and clearly signed and the distances are quite large. Hermanus has very limited public transport and not a lot in terms of taxis. Plus, some of the best things to do are to go for drives so a car is kind of essential! This was my kind of boutique hotel! 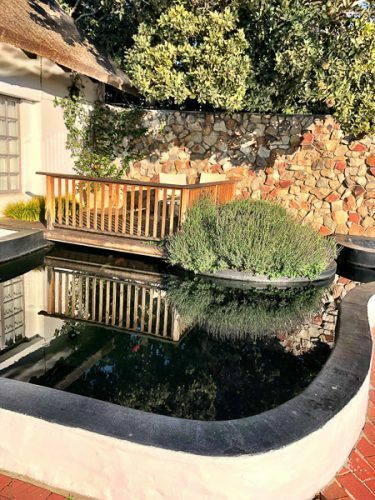 Whale Rock Luxury Lodge is on quite a large half hectare premise in Hermanus. There are basically two main Villas. 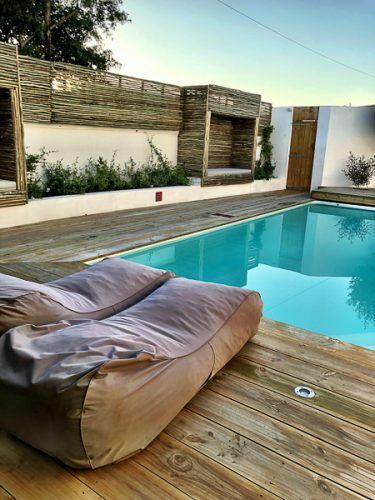 I stayed in the newer villa which opened in 2017 and loved it! It felt like staying in someone’s lovely house. Possible because it is kind of a huge house! The ground level has big comfortable sofas and living rooms plus a kitchen – and even better an honesty bar! There is a nice sized pool and sun loungers. My room was on the first floor and it was so lovely – and huge! It was a Walker Bay Suite. 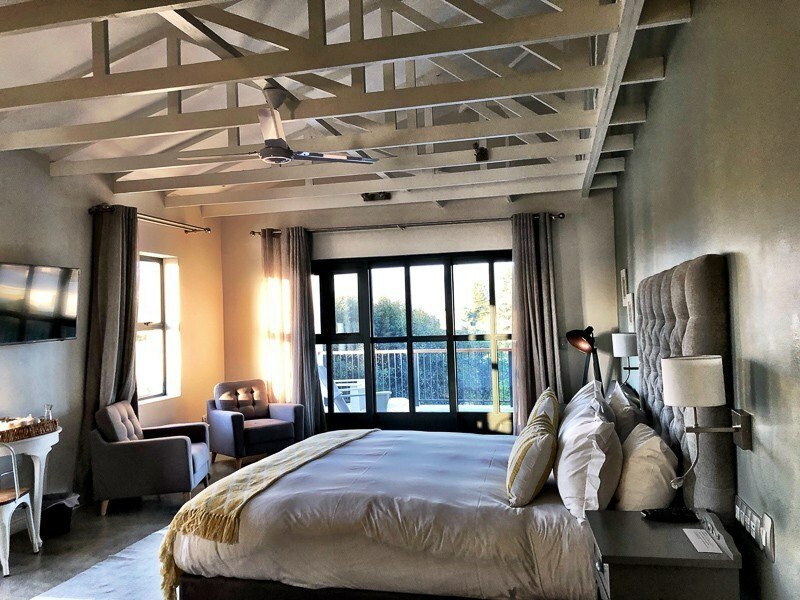 Whale Rock Luxury Lodge also own the wonderful Wedgeview House in Stellenbosch where I stayed – read my review here. The owner’s wife is a former interior designer and you can absolutely see that. The design is lovely – really Scandinavian style comfort. There is a second pool on the property and breakfast is served in a lovely glassed-in area. There is a fresh buffet available and then hot breakfast as well which was fantastic. 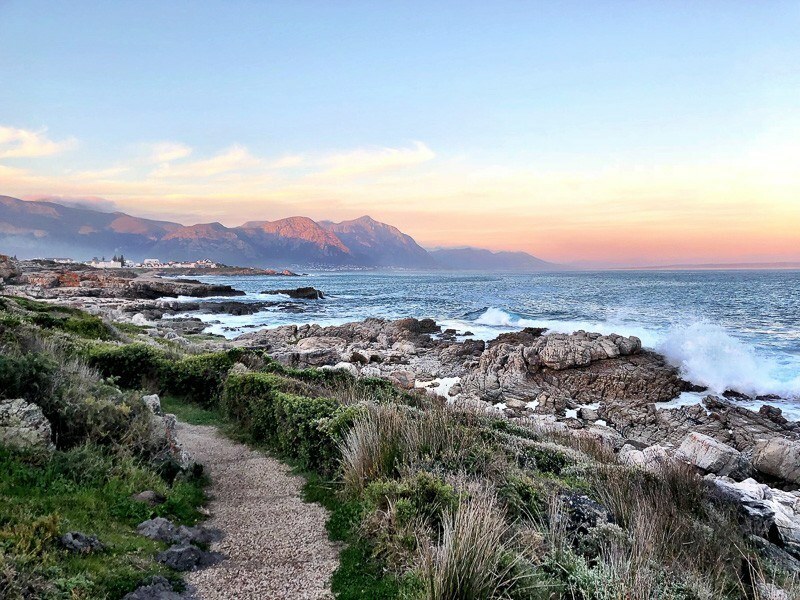 As if all that wasn’t enough the lodge is literally walking distance from the Hermanus New Harbour – as well as walking distance from the lovely Hermanus Cliff Top Walk. The lodge also offers light lunch but it does not offer dinner. I walked down to the Harbour and had a fantastic seafood dinner at Harbour Rock Restaurant – or visit here before or after whale watching. If you click through on the links in this article for tours, flights, etc I will get a small commission on the sale. Just wanted to make sure you knew that. Thanks very much to Whale Rock Luxury Lodge and Viator for hosting my stay. Please note although they hosted my stay the opinions expressed above are my own. Beautiful post! I love whale watching and this is now on my list of places to go to! Thank you for the beautiful pictures! Thanks Holly! it is an incredible place that I highly recommend! I would love to do something like this one day. Whales are gorgeous to watch. Your photos are incredible! I love that you did a Q&A at the end and included other options for things to do in the area. My interest peaked at the hop on and off tour! This seems like a cool trip! Thanks Jessica – it is a great area with so much to do! I’ve only been whale watching in California. Whales and Wine Full Day Tour sounds really fun in Cape town. My husband and I are wine love and he would love to visit wineries as well. Thanks Sonjoo – yes whale and wines is a great combination! Such beautiful views and I do know I would enjoy going on something like this after I work on my sea sickness. Hi Joan – thanks for your reply – so sorry to hear about your sea sickness! I do hope that is something you can solve! This looks like a beautiful trip! I went whale watching in the Southern Caribbean years ago, which was amazing. Thanks for your tip, I really love that many of the tours have professional photographers to capture priceless moments. I am always so consumed by the magnificence in front of me that I forget to take the perfect pictures. Thanks Danica – yes it is hard to balance the wow of what you are seeing with capturing the perfect shot! This is amazing. I would love to try out whale watching, it looks like something that is a once in a lifetime experience. Hi Linsday – thanks for your comment – I highly recommend it! thanks Natalia – it is definitely one for the bucket list! Wow! I would love to do this! Whales are such graceful creatures and you are sooooo lucky to have experienced this adventure. The Whale Rock Lodge looks gorgeous! Thank you for sharing your experience! Thanks Dee – it was fantastic – and Whale Rock Lodge is just stunning! I love this!! It is on my bucket list to go whale watching!! My hubby and I had planned to go to the Pacific Coast back in October. We were going to go whale watching. We didn’t end up getting to go, so now it is back on my bucket list. I can’t wait to have an experience like this myself. Thanks Carli – I highly recommend whale watching! Oh my. I don’t know what I’d feel if I ever see a whale… My heart will surely be racing. I wish to get on a whale watching tour someday. Thanks Wendy – it is well worth doing! I have always wanted to go whale watching, and this looks absolutely amazing! What a gorgeous place to visit. This looks like very fun activity. Will def try once in my life. Wow, this seems like a fun trip! I’ve never been whale watching before. I feel like I would be a little nervous lol I don’t do very well with water. Thanks Traci – the boat doesn’t head too far from shore so hopefully that would help! I love whale watching! This is just a great comprehensive post packed with a lot of information! Thank you so much for sharing your experience! Thanks Fran! It is a fantastic experience! 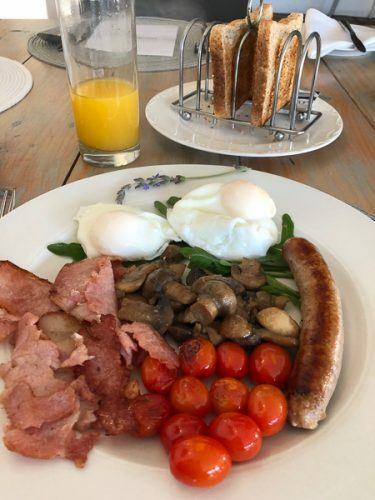 thanks Sandra – I highly recommend Cape Town and Hermanus!